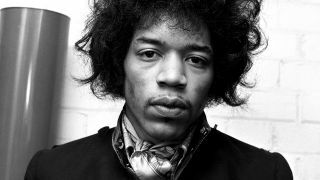 The Jimi Hendrix documentary Electric Church is to be screened at Everyman cinemas in the UK next month. The film was originally shown on the Showtime channel and focuses on Hendrix's appearance at the second Atlanta International Pop Festival in 1970 – which was billed as the Southern Woodstock. It’ll be shown at Everyman venues in Bristol, Glasgow and Altrincham on May 22 with special screenings taking place in Newcastle on May 21, Liverpool on May 22 and London’s Baker Street on May 23. The Newcastle screening will see Dr. Christian Lloyd introduce the film and give a talk on Chas Chandler’s work with Hendrix at the end of the film. The London screening will also see Lloyd introduce the film and he'll hold a short Q&A with Doug Kaye, who was a friend of Hendrix when he lived in Mayfair. Tom Attah will then play in the bar, where he’ll be joined by Handel & Hendrix DJ’s. Guests for Liverpool will be announced in due course. President and CEO of Experience Hendrix LLC Janie Hendrix says: “It’s thrilling on so many levels. Seeing Jimi re-introduced around the world through this platform is something of a rebirth. Tickets are available through the Everyman Cinemas website.